The AHR-designed The Hard Interchange for Portsmouth City Council received its formal opening last week. The new interchange offers an impressive new gateway to the city and provides a modern facility for the community, with the transportation hub providing access to bus, train, boat and taxi services. The Hard connects five million passengers each year and now delivers a fully interactive journey throughout the concourse, using the latest digital technology and information screens to relay arrivals and departure times, as well as advice for commuters and tourists. 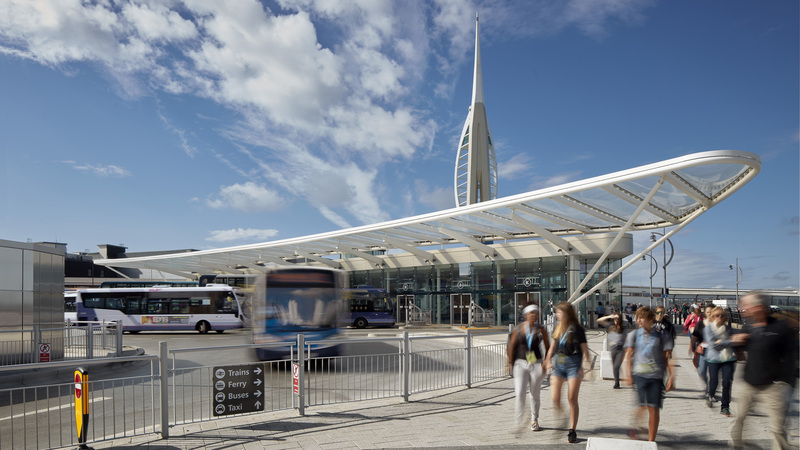 The new interchange is the latest part of Portsmouth's ongoing regeneration vision and is expected to act as a catalyst for further development in the surrounding area. 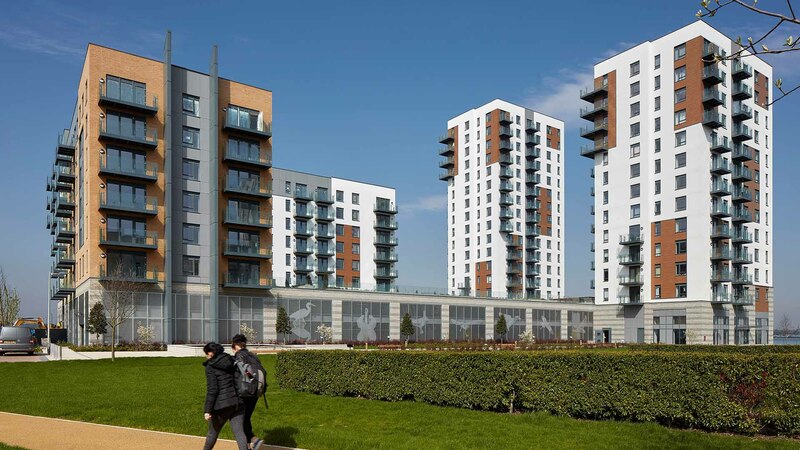 The design solution overcame challenges resulting from the development’s location upon a concrete structure from the 1970s that projects out into Portsmouth Harbour. With this existing deck undergoing extensive repairs, AHR brought structural and landscape disciplines together by modelling the interchange within a 3D environment, preserving the architectural vision for the public realm and building concept whilst resolving the site constraints. 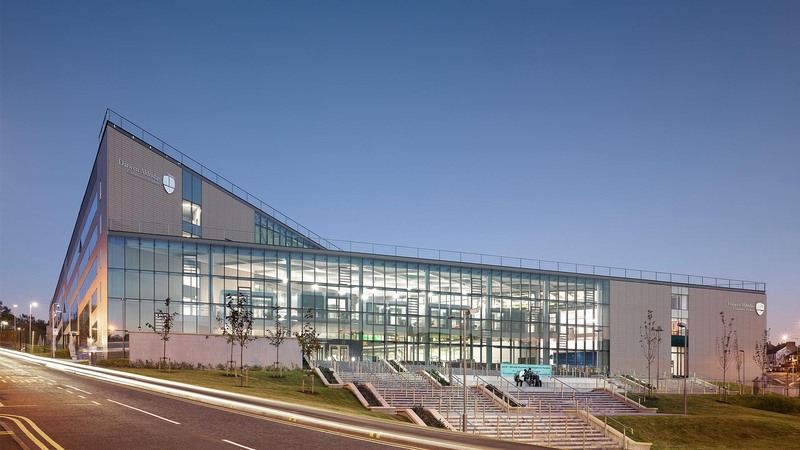 The development is one of the first projects in the UK to use the sleek aerofoil profile of die cast aluminium through a new architectural mullion system for the interchange’s façade. The Hard is one of many new interchanges AHR has recently delivered. The practice anticipates more to follow, backed by the Chancellor’s budget articulating the trend of major transport hubs increasingly driving regeneration within communities. The Hard is located between the famous Historic Dockyard and Gunwharf Quays in Portsmouth and is now open.